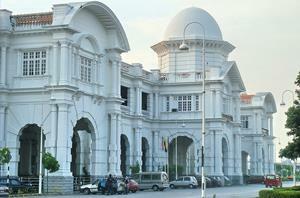 Ipoh is the capital of the Perak state in Malaysia and is most widely known to be the largest city in the country. The place is also known for its vibrant food scene and unique dishes like the Sar Hor Fun, Hor Hee, Nga Choi Kai, Hakka Mee, Heong Peng and Ipoh white coffee. 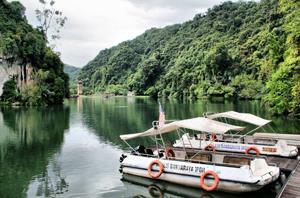 One of the most preferred methods of traveling to this quaint city is to take a bus to Ipoh. Although some travelers opt for taking a train to Ipoh, but taking the bus to Ipoh is much easier and faster. Currently, the main bus terminal in Ipoh is the Amanjaya Bus Terminal, located at Persiaran Meru Raya 1 nearby the Immigration Department Malaysia. The Amanjaya Bus Terminal is located about 15km away from the city of Ipoh and is equipped with TVs and huge display boards that show the schedules of buses arriving and departing from Ipoh. There are also a number of shops and stalls that offers various things from food to clothes and accessories. Even though the main bus terminal in Ipoh is the Amanjaya Bus Terminal, most bus operators also picks up and drops off passengers from a number of other locations. Some of those bus operators include Maju Express, Billion Stars Express, Plusliner, Transnasional, Pacific Express, KPB Express, Hatyai Intertop Express and more. Ipoh Railway Station, Padang Ipoh, Kong Heng Square, Hakka Miner’s Club, Ipoh Heritage Trail, Ipoh Old Town, Kellie’s Castle, Perak Cave, Cavern of Triple Gems, Cavern of Ultimate Bliss, Gua Tempurung, The Lost World of Tambun, Tambun Hot Springs, Ulu Geroh, Memory Lane, Ipoh White Coffee. Book your tickets for the bus to Ipoh today!